Nicholas Kralev speaks on three main subjects: diplomacy and international affairs; media and journalism; global travel. Below are some of his most recent topics, followed by some of his previous engagements. If you’d like to invite him to speak at your event, please contact us. By definition, diplomacy brings people together to manage relationships and resolve disputes. In a world in disarray, it becomes humanity’s best hope for avoiding conflict, bringing back order and securing a better future. In this presentation, Kralev addresses the steps governments around the world, as well as the international community as a whole, must take to give diplomacy its rightful recognition as a true profession, complete with all necessary resources and tools. 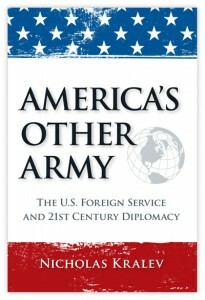 He also talks about how the work of diplomats has changed in the 21st century, and how smart, persistent and effective diplomacy can contribute directly to a nation’s security and prosperity, while promoting global stability in the process. Kralev is the founding executive director of the Washington International Diplomatic Academy, whose work has taken him to almost 100 countries. 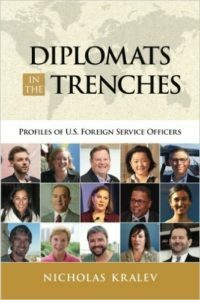 He is the author of America’s Other Army: The U.S. Foreign Service and 21st-Century Diplomacy and Diplomats in the Trenches: Profiles of U.S. Foreign Service Officers. Information has become a commodity that more and more people, businesses, governments, terrorist networks and others are trying to control. The definitions of “fact” and “truth” have become questionable at best and irrelevant at worst, as citizens choose to believe stories that reflect their own agenda and way of thinking. In this presentation, Kralev addresses the challenges this creates for both legitimate media organizations and the public, as well as its impact on such sacred journalistic values as objectivity, credibility and trust. He also discusses the role of social media, information technology and innovation in the future of news-gathering, content-creation and disseminating information. Kralev is a former Financial Times and Washington Times correspondent, who has trained journalists around the world. He has also written for The New York Times, Foreign Policy, The Atlantic and Huffington Post. The political disarray that defines today’s world, as well as governments’ foreign policies and diplomatic activities, have an outsized impact on the global travel industry. Recent disputes, such as the Qatar blockade, the Saudi quarrel with Canada, the U.S.-China trade tensions and the U.S.-Turkey spat, have produced immediate strains on both industry and consumers, directly affecting the bottom line of numerous companies. Yet there is limited understanding in the travel industry of the inner workings of the foreign-policy apparatus in different countries, as well as the diplomacy infrastructure that implements policy decisions. In this presentation, Kralev provides a behind-the-scenes look at U.S. and global diplomacy, with an emphasis on the impact of governmental policies and actions on all aspects of travel and tourism. He also offers his analysis of current disputes and other diplomatic hurdles affecting both travel providers and customers and shares suggestions for possible resolution. 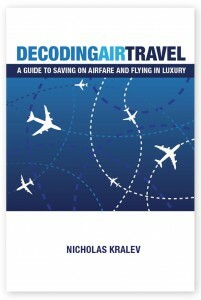 Kralev is the author of Decoding Air Travel: A Guide to Saving on Airfare and Flying in Luxury, which climbed to 80th place on Amazon’s overall bestseller list. He has flown more than 2.5 million miles.